2013-DAANA Scholarships were awarded at a simple ceremony on July 16th 2013. 17 DRCK students received annual scholarships of Rs 10,000/= each on academic merits, and 6 students received Rs 5000/= each for exceptional achievements in extracurricular activities, while 8 students received complimentary awards of Rs 1250/= each. The complete list of scholars and sponsors is given at the bottom of this email. The Scholarship program has become the flagship program for DAANA. Over the past 5 years, a total of 106 bright-needy students have been benefitted from DAANA academic scholarships, and 16 students have won for their extracurricular activities. We have so far disbursed nearly LKR 1.14 Million in total for DAANA Scholarships. Dharmaraja College General Knowledge Quiz Team won the Mind Probe 2013 competition. The event was held at the Kularathna Hall, Ananda College Colombo on July 10 with participation of teams from leading schools in the Island. The Dharmaraja Team defeated Royal College in the final round. Congratulations Young Rajans - Keep up the hard work ! Wedding bells rang for Prasanga Hemachandra(Class of 2003), a member residing in Idaho. His lucky bride is Amanda Christine Gomez. 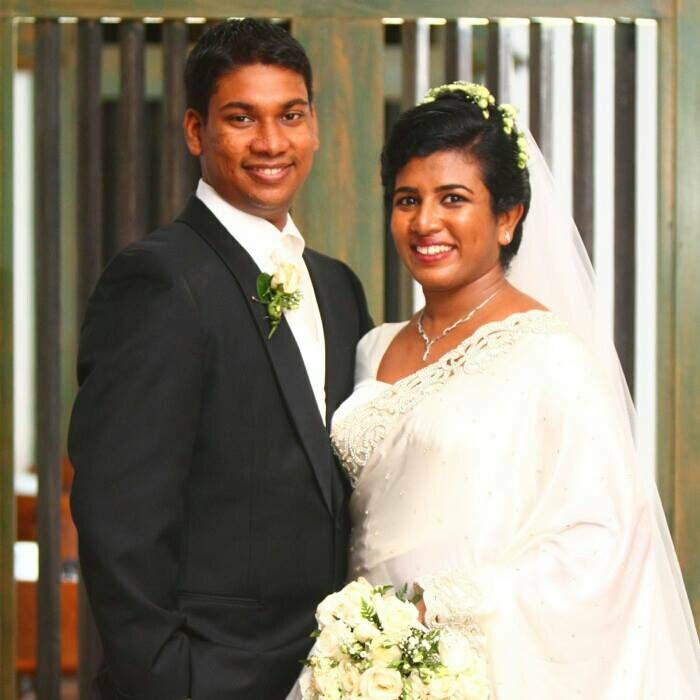 Congratulations Amanda & Prasanga for Your New Life Together ! 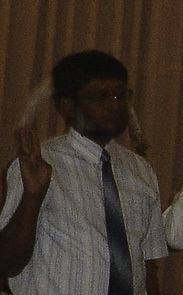 DAANA Member, Sawan Wanigasundara will be deployed in Afghanistan soon. 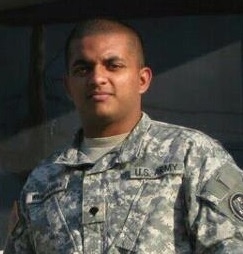 Sawan is attached to the Maryland National Guard and currently doing his final preparations at Fort Hood, Texas. We wait for your safe return, and look forward to meet you at the next year Washington-DC Inter-School Rugby Tournament. Mawanella, Hemmathagama. May he attain Nibbana. The Prize Giving 2012 was held on Friday the 12th, July 2013 under the distinguished patronage of Honorable Bandula Gunawardhane, Minister of Education. 351 students were awarded prizes on the occasion. Yumal Chathuranga Kuruppu received the Best All Rounder award for the academic year 2012.
has won a merit award at Science Olympiad. awards for short story, poetry, English announcing and singing. has won championships in Badminton, Chess, Cricket and Tennis at School level. and ranked all-Island 10th to enter the Faculty of Medicine. won a Special Cash Donation of Rs.100,000/= by the School Development Society, and a special cash award, donated by Galpoththewela Development fund. the winner of Deshyamanya Dr.M.H.G Siriwardana memorial Gold Medal donated by Mrs. Doris de Siriwardane and the Teachers' Welfare Society Prize for the Best All Rounder. Yumal is also a DAANA scholar, he is the student appeared in the YouTube clip on the DAANA website. He has also submitted few poems to the DAANA wallpaper. Dr. Rohana Wijekoonassumed duties as the Director General of Agriculture who was earlier the Asst. Director of Information and Communication. He attended Dharmaraja, and then graduated from the University of Peradeniya. Later, he obtained his Ph.D. in Digital Media Design from the University of Western Sydney Nepean, Australia. Dr. Wijekoon is also a proud Old Rajan Scout actively participating activities organized by Old Rajans Scout Association. Congratulations Rohana on the new job - We are proud of you ! Shantha A de Silva (an old rajan) replies "Don't cry Vimal, Singer Trophy is ours, you can keep your friendly little metal piece." Should a sport be reserved only for a few good friends?